You’ve done solid work building a successful career, holding positions in big organizations and growing from being an effective team member to leading projects. For many, the next step is striking out on your own: hanging out your shingle and launching your own consulting practice. It’s a natural progression — selling that experience and expertise you’ve built by helping companies tackle their pressing problems. It’s a rewarding career path, but there are some things you must know to make your consulting practice work. Above all, the best way to build a successful consulting practice is to plan for it. Start with these important insights. And while you’re focused on today’s project, you must also be planning tomorrow’s project. It’s something you probably didn’t think about in your corporate career because the company always handed you your next assignment. Now you are the company. How is your consultancy going to continue working? It’s up to you. Here’s a tip we can offer you right away: implement an effective accounting solution like QuickBooks to take care of your financial management responsibilities. You’ve probably always sensed this, and if you’re serious about growing a successful consulting practice, then you know it already. Your project calendar and your day-to-day work rest on maintaining positive relationships with clients, partners, freelancers, and other consultants. Plus, all those contacts you made during your corporate career are potential projects. Keep them positive and fresh with coffee meetings, lunch dates, and phone calls. Don’t just keep the project plans on your desk. Take the extra effort to communicate clearly and make sure everyone hears you describe the way forward. It’s the key to making sure everyone is on the same page. Clear communication applies to both your client and team relationships. On the client side, be upfront about expectations and deliverables, and give clear updates on progress. Don’t leave anyone wondering what you’re up to. 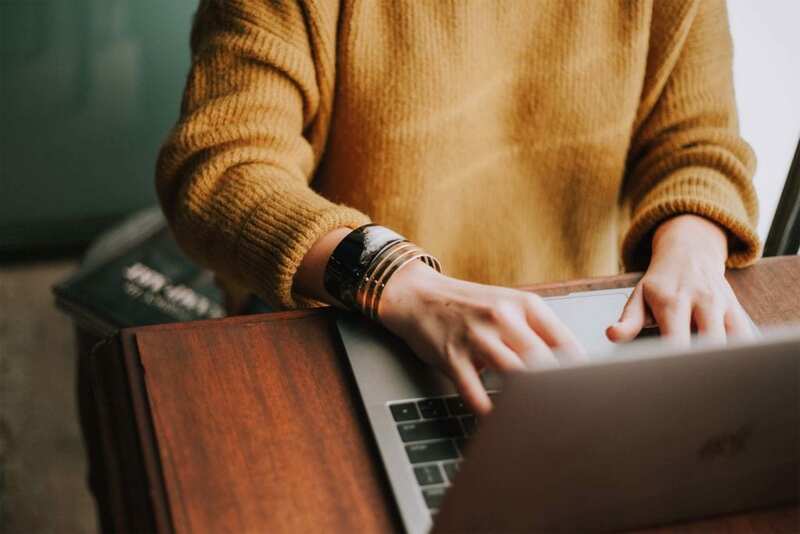 When it comes to your team, you will often be relying on remote freelancers (especially in the beginning), so it’s essential to use reliable communications practices. A sophisticated communication platform like Slack will go a long way towards keeping those channels open and productive. Companies hire consultants to solve problems. More specifically, they hire consultants to tackle problems they cannot solve themselves. If they just wanted another pair of hands, they would have hired an employee. That expertise, energy, and experience is your value. Put it first and foremost. In the initial stages of your consulting business, your clients may come from a range of industries and business models. As you grow, however, you’ll find the area you excel in and want to specialize in. Embrace that opportunity. You may be surprised by the area of specialization you eventually land in — sometimes your expertise finds you! And here’s the most important trick: ask questions. It sounds obvious, but when you get in the habit, you’ll notice how much you gain from constantly learning. Be curious about everything. Too many consulting practices race out of the gate and use all their frantic energy just doing anything and everything. But what have they accomplished? Where are their efforts going? Tracking your progress helps on a couple of important fronts. It shows clients the progress you’ve made on their projects. At the same time, it shows you the progress you’ve made, because with all the activity and chaos, even you will lose track of how much you’ve done. At the same time, your value isn’t just your hours worked on a project. It’s much more than that. A good consultant shows its clients how processes were improved, problems were overcome, and the stage was set for future performance. A good digital solution will help you turn all of that activity into a clear picture of how far you’ve come and what you’ve accomplished. The key to efficiency and successful growth is optimization. What is optimization? Let’s put it this way: if you have too much work, then you can’t meet your deliverables. If you have too little, you can’t pay your employees. Finding that sweet spot is optimization. How do you get there? You get the right data from tracking your activities, and you forecast your workload appropriately. Once again, investing in a reliable accounting solution like QuickBooks makes it much simpler to handle your accounting and invoicing. We’ve already discussed how relationships are at the center of every successful consulting practice. 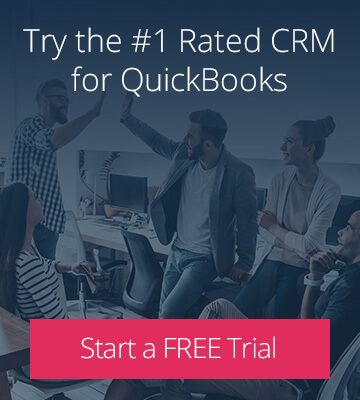 To ensure those relationships receive the attention they deserve, you’ll want to implement a client relationship management (CRM) system right from the get-go. 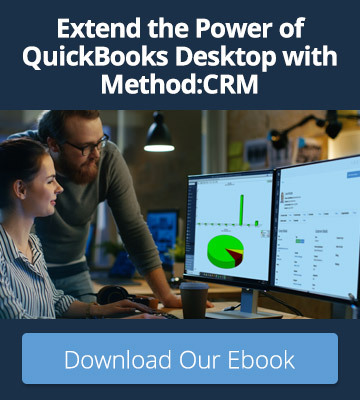 Integrated project and transaction management: Method integrates seamlessly with QuickBooks, giving you one powerful view of projects and transactions in the CRM. Administrative efficiencies: Method:CRM removes the hidden costs of manual processing and double data entry. Client management: Users can add unlimited contacts and track all client relationships. Team members can see previous interactions, schedule follow-ups, and make sure client calls are personal, informed and helpful. Team collaboration: The CRM platform gives team members access to centralized client data and a shared calendar. Method:CRM is a valuable addition to any consultancy’s toolkit. To learn more about how Method can help your business succeed, contact us today.